Herstory: The Canadian Women's Calendar is a weekly celebration of incredible women, past and present, who have shaped our country. Herstory 2015 features 52 pages of profiles about and by Canadian women, as well as photos, artwork and topic pages. Created annually by the Saskatoon Women's Calendar Collective since 1974, Herstory is published by Coteau Books. Find Herstory 2015 at Coles bookstores across Canada! 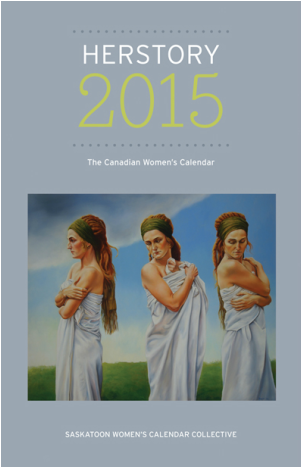 A timeless calendar that celebrates notable and unsung women in Canada.